We are in the middle of something of an Apple news onslaught, what with the announcement of when the HomePod will finally ship alongside a raft of new software releases for every major bit of hardware the company makes. Sometimes that makes it difficult to see the wood for the trees, and two little bits of news may have passed you by today. They’re relating to one thing we hear lots about and one that we do not – the iPhone and the MacBook Air. 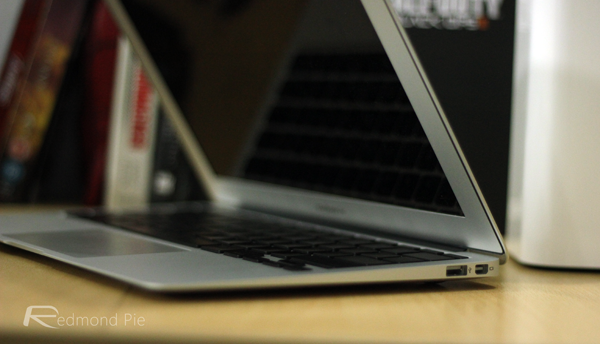 Starting things off with the MacBook Air, a new report by DigiTimes claims that we will see a newly updated entry-level 13-inch MacBook arriving towards the second half of 2018, with the notebook likely to replace the MacBook Air at the bottom of Apple’s notebook totem pole. The report has General Interface Solution set to make the LCD displays for the device. 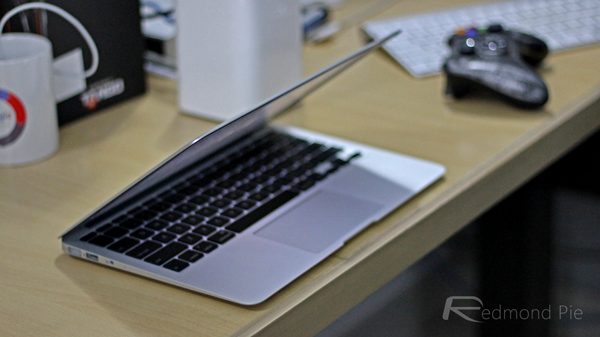 If this is indeed the case, then we could see the end of the 13-inch MacBook Air at the $999 starting price point. That price has kept the MacBook Air relevant since its arrival in 2008, despite its lack of hardware innovation. We know we will miss it when it finally goes away. Moving onto the iPhone, KGI Securities analyst Ming-Chi Kuo has shared more information on what he believes will be a 6.1-inch iPhone, released later this year. We already have expectations that it will carry some iPhone X features such as Face ID, although design and manufacturing materials are likely to lean towards a lower price point. Kuo says that will mean an LCD screen as well as a single rear camera and, interestingly, no 3D Touch. That would make it the first iPhone without 3D Touch since the iPhone 6s. 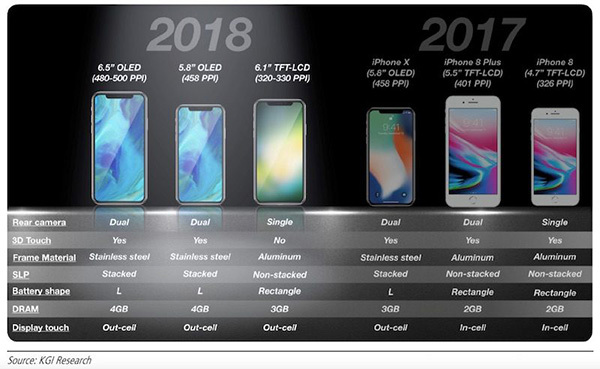 Development schedule of new 6.1″ LCD iPhone slightly behind 6.5″ and 5.8″ OLED models, but it may enjoy extended longevity into 1H19F, boosting slow season outlook: We predict the 6.1″ LCD iPhone will differ from the 6.5″ and 5.8″ OLED models in terms of certain specs, for reasons of cost/price and product segmentation. However, this shouldn’t have any effect on key user experience. We revise up our price projection for the 6.1″ model from $650-$750 to $700-$800, and remain positive on shipments momentum. The 6.1-inch iPhone is expected to find a place in the middle of Apple’s lineup, right around the $700-$800 price bracket.